Avantasia, Sonata Arctica, W.A.S.P. 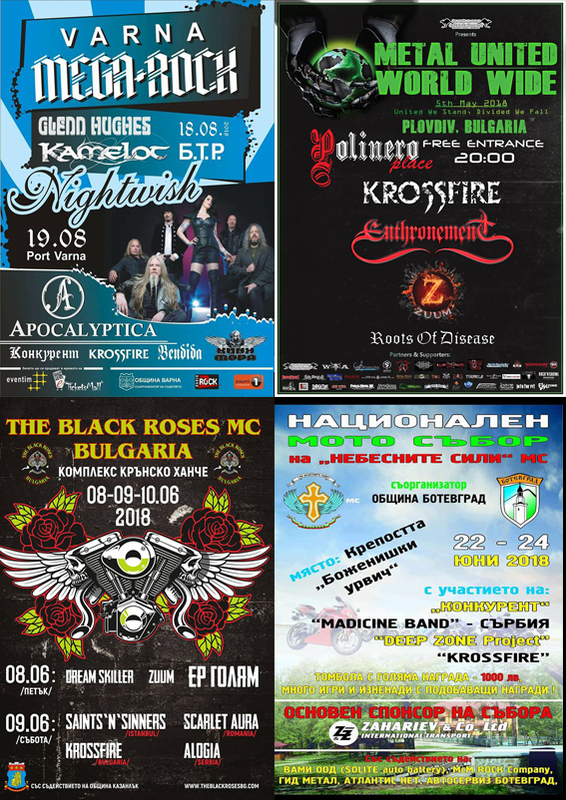 , Destruction, Rage & Lingua Mortis Orcestra Drive Your Life, Krossfire, SEVI, Velian at Varna Rock 2019. 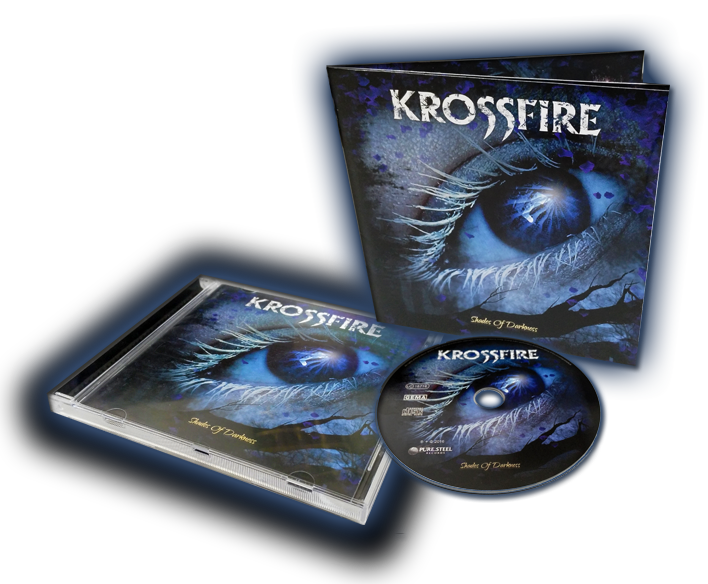 As the band is already working on their third alum, we are going two years back, when Krossfire officially presented their latest studio work, Shades Of Darkness. Full venue, many friends and hot flames warmed the November night. Unforgettable! A project that came to life from friendship between three bands – Krossfire, Scarlet Aura and AlogiA. We recorded the pilot song “To New Horisons” in Serbia, Paradox Studio in April. Watch video now! Chelopech municipality is about to host a spectacular venture. The first ever rock festival in Srednogorie will start in the summer of 2019 and is called the WOLF FEST WOLF’S TRAIL. We can be shure in the success of the new venture, because the former mayor of Kavarna, the so-called ” “Mayor” Tsonko Tsonev, is in tandem with another famous and successful mayor – the current mayor of Chelopech Alexi Kesyakov. The bill is as follows: on August 9th, on stage will be Krossfire, Silked and Stained, Scarlet Aura and Cradle of Filth. On August 10th – Konkurent, Wild Souls, Axxis, Pretty Maids. Part of the festival’s team is also the “most evil language” among Bulgarian filmmakers, famous for its revealed and burning sense of humor – Andrei Slabakov, writes the information site Srednogorski Bugri. The event is scheduled for 9th and 10th August in a beautiful and unexpected place called the Wolf’s Trail in the village of Chelopech, Sofia district. 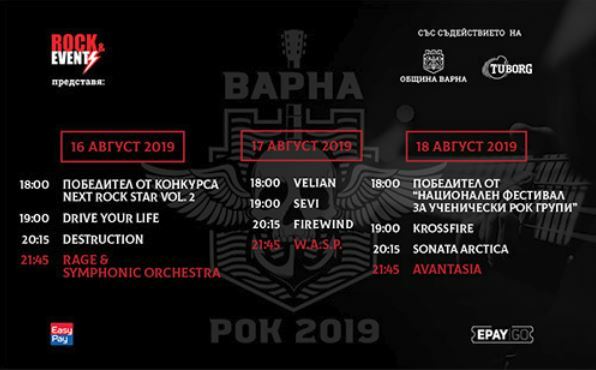 Avantasia is the big headliner for the final day of VARNA ROCK 2019. W.A.S.P. , Destruction and RAGE & Lingua Mortis Orcestra also added to the lineup. From today, January 30, the organizers also run one-day tickets for 70 leva. The festival ticket price until February 28th is 100 BGN, from March 1st the ticket becomes 120 BGN. Tickets on EasyPay cash desks or online from EPAY-GO. 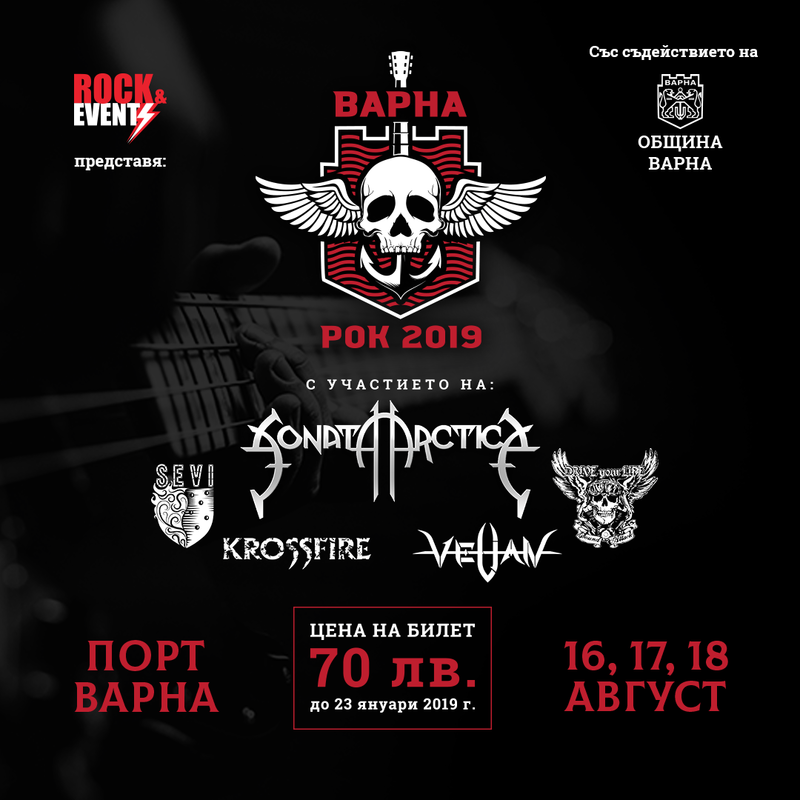 Sonata Arctica, Drive Your Life, Krossfire, SEVI, Velian are the first announced bands at VARNA ROCK 2019. The final line-up and headliners will be confirmed by the end of February. The three-day festival is priced at 70lv. until January 23 and promise an unforgettable rock experience with beloved bands and emerging stars on the scene of Port Varna. 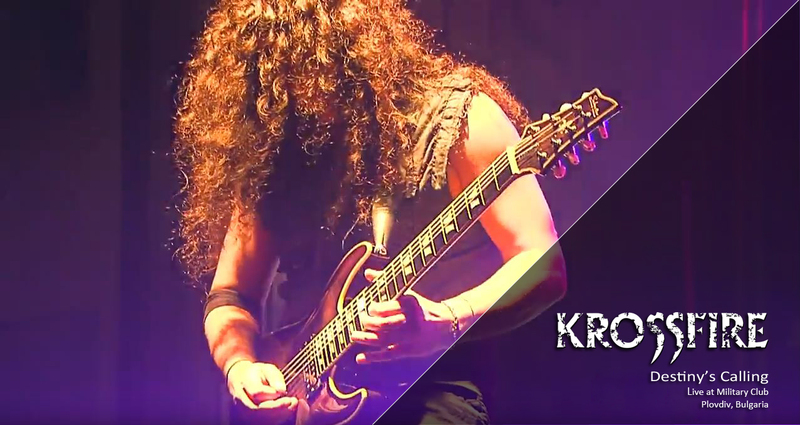 As the band is already working on their third album, we are going two years back, when Krossfire officially presented their latest studio work, Shades Of Darkness. Full venue, many friends and hot flames warmed the November night. Unforgettable! 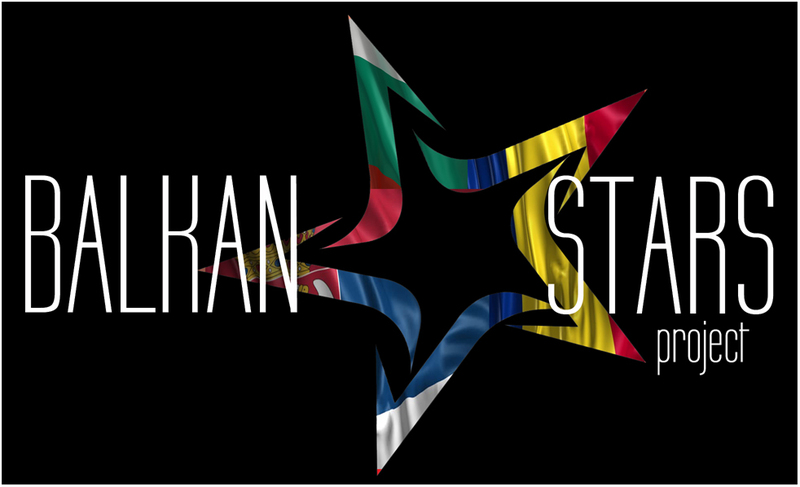 We present you “Balkan Stars Project’. A project that came to life from friendship between three bands – Krossfire, Scarlet Aura and AlogiA. This song has been recorded in April this year in Serbia at the Alogia’s studio, Paradox, with Srdjan Brankovic (Alogia) and mixed and mastered by Myke D at the Silver City Studio, in Bucharest. We are very happy to announce release of the new digital single “To New Horizons” available now for streaming and download by Outlanders Productions! We present you “Balkan Stars Project’. A project that came to life from friendship between three bands – Krossfire, Scarlet Aura and AlogiA. We recorded the pilot song “To New Horizons” in Serbia, Paradox Studio in April. 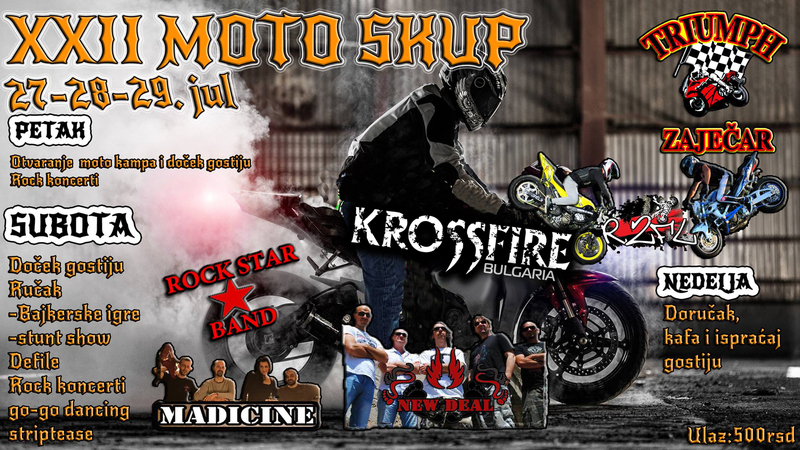 Coming soon the video for the song Those of you who will attend on the National Motorbike Festival organized by the motto Club “The Black Roses MC” (Kazanlak), will have the pleasure to hear the song for the first time live, performed by the three bands. So, we expect you on Saturday (09.06.2018). Complex Kransko hanche, Kazanlak. 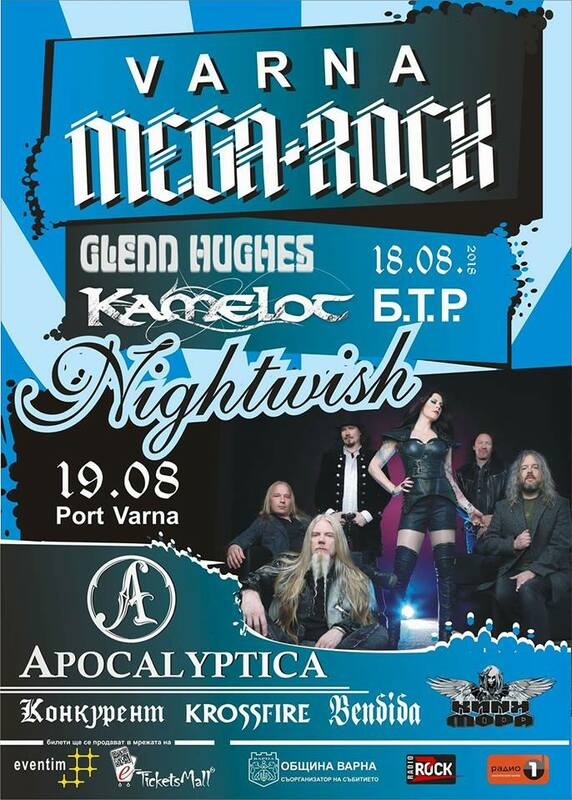 The band will share one stage with Kamelot, Nightwish, Glenn Hughes, Apocalyptica and more. 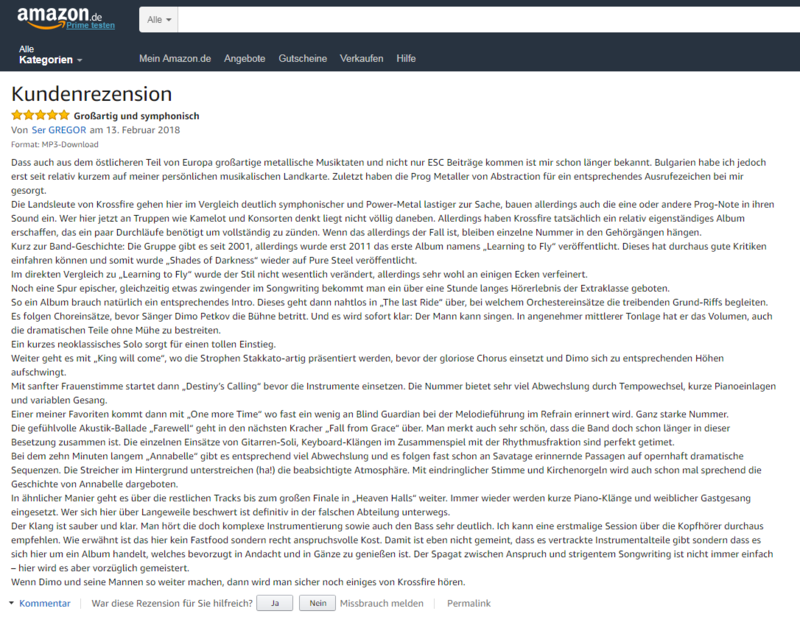 Great review for the Amazon.de. Thanks to Alexander Kliment. 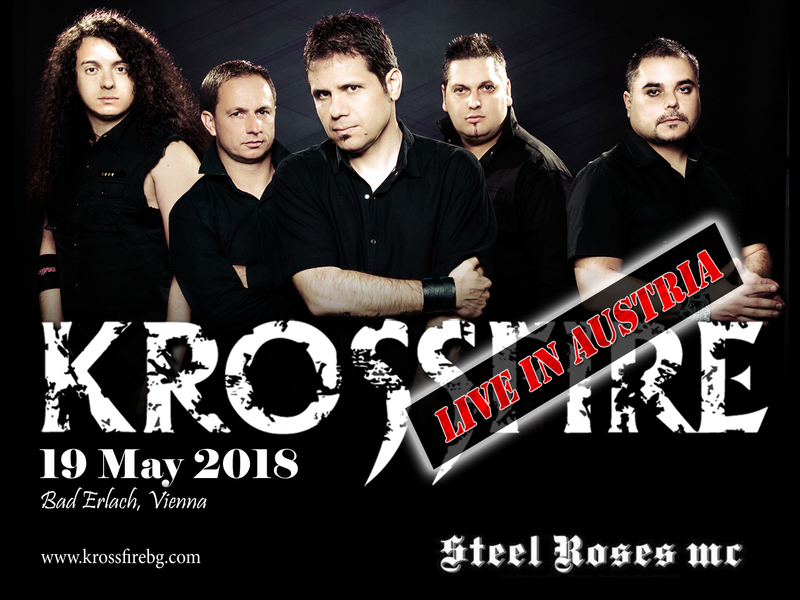 For the first time, the band will play in Austria. The place is Bad Erlach, Vienna. Thanks to Steel Roses MC. Support us and share with your friends.Thank you!